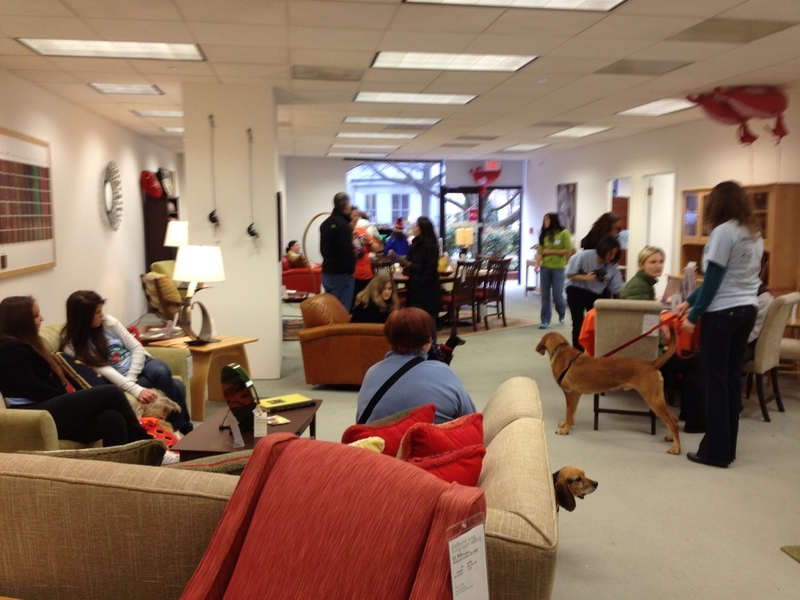 The pet adoption event at Pompanoosuc Mills furniture store in Old Town Alexandria on Saturday, Feb. 16, drew a steady stream of foot and paw traffic despite the chilly temperatures and sporadic snow flurries. There were about a dozen adoptable dogs from Homeward Trails Animal Rescue hanging out on the custom furniture waiting to meet their forever families. Check out these pictures of some of the beautiful dogs. Noel is a sweet white puppy with the most georgous light blue eyes. Find out more about Noel. Summer is a Lab-Husky mix who wore her rainbow-colored tutu with pride. Find out more about Summer. This docile, housetrained Catahoula Leopard Dog mix is named Monroe. Find out more about Monroe. I’m not sure this is Prissie, but this cuddle-bug MinPin was all too happy in her foster’s arms. Find out more about Prissie. 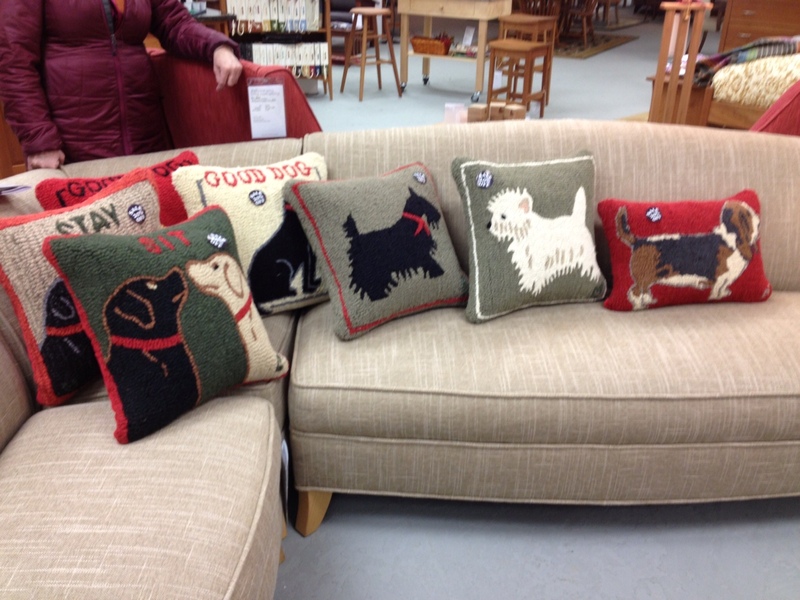 And one happy raffle winner was able to choose one of these cool dog pillows, seen here decorating one of the sectional sofas.